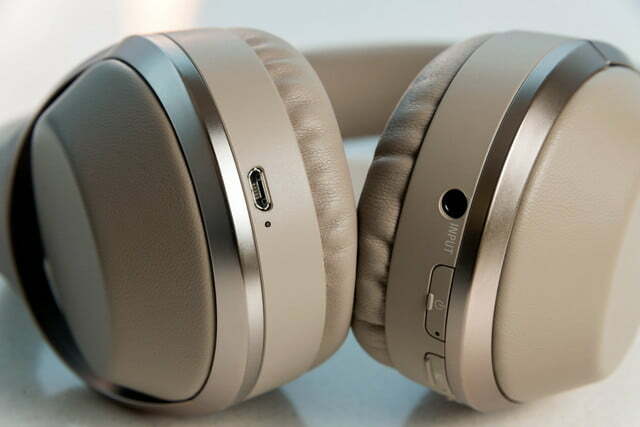 Plush comfort, excellent noise cancelling, and superb sound put Sony’s MDR-1000x at the head of the wireless class. 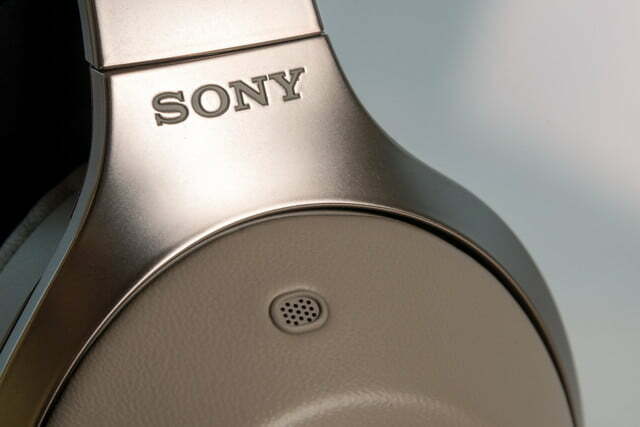 Sony has been pushing high-resolution audio harder than almost any other manufacturer, and implementing it into an increasingly dense line of high-quality headphones for listeners worldwide. 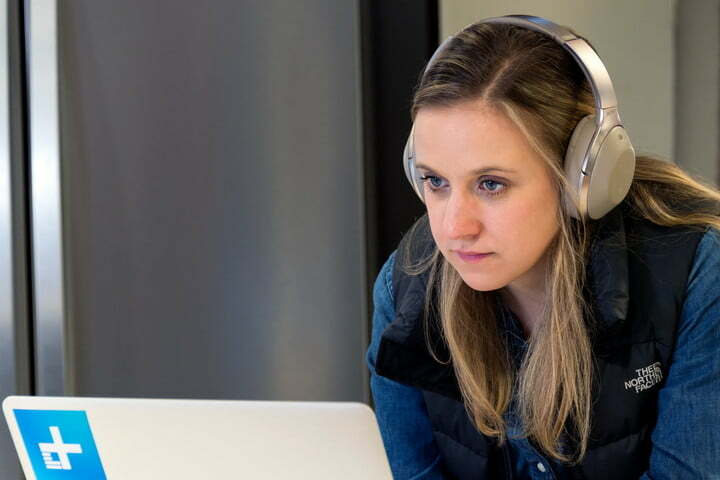 The MDR-1000x wireless noise-cancelling headphones fit this business plan perfectly. They’re the company’s most technologically advanced headphones to date, and the latest in a long line of offerings to take direct aim at Bose. Pairing excellent sound and comfort with top-flight noise cancellation, the MDR-1000x are a slam dunk and absolutely worth considering, even at a hefty $400 price point. 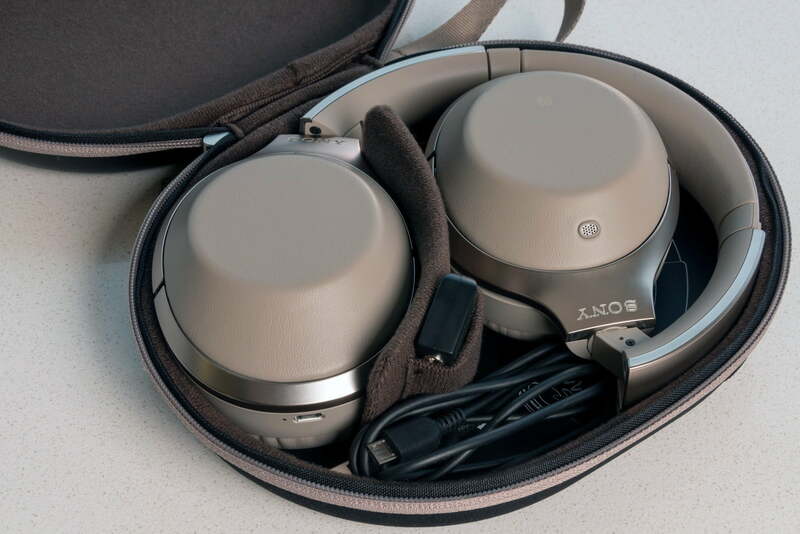 A first glance at the MDR-1000x’s packaging makes it easy to tell these are a pair of headphones for the business class; there’s nothing flashy to get hung up on in unboxing, and very little to thwart quick opening for time-sensitive fingers. 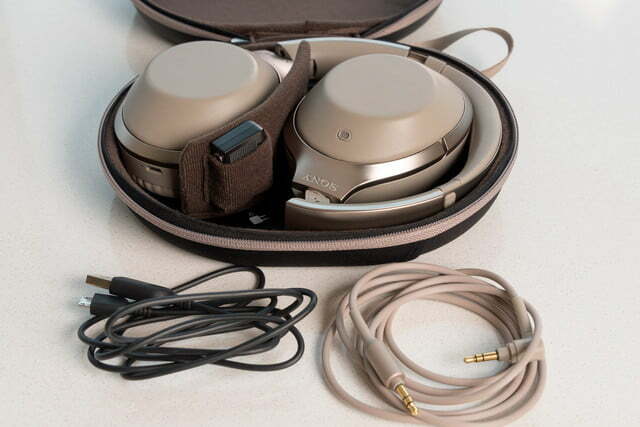 Once opened, the inner box holds a simple, dark brown hard case — which gently complements our review sample’s taupe colorway — with the headphones folded gently inside. The MDR-1000x come with a long 3.5mm cable, a micro USB charging cable, and an airplane adapter for those long international flights. 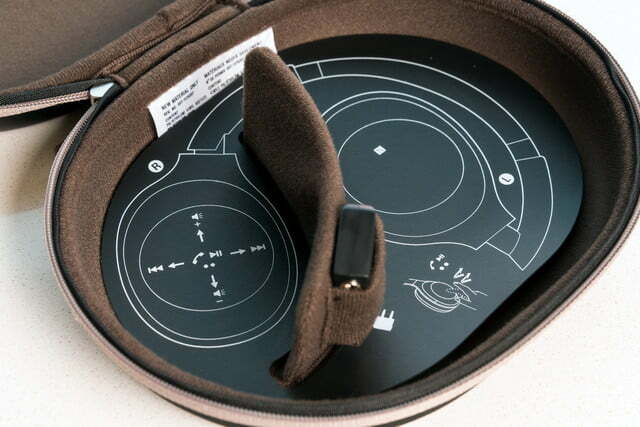 Setup instructions arrive in the form of an intuitive visual “blueprint,” relying on numbered, self-explanatory images that show you how to charge, pair, and use your new headphones. In a world full of thick instruction manuals, it’s a refreshing change. The MDR-1000x are elegant and understated, with simple earcups and a stainless-steel headband as accent. Even the Sony logo is somewhat hidden, etched in a barely-visible font just where the headband connects to the ear cups. 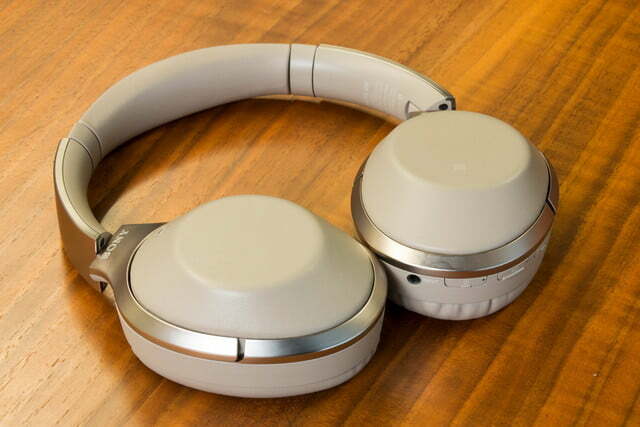 Sony wants these headphones to sound awesome, even when wirelessly connected, and they absolutely do. 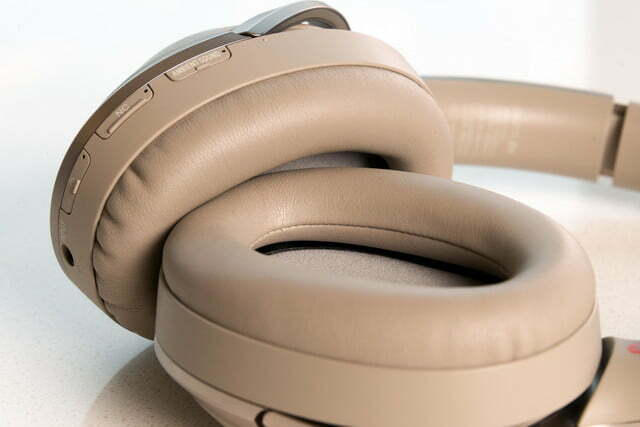 The earpads are cloaked in puffy leather that reminds you of grandpa’s big old Cadillac, and, combined with equally soft padding underneath the headband, an absolutely awesome suspension system creates one of the most comfortable pairs of headphones we have ever had the pleasure of wearing. 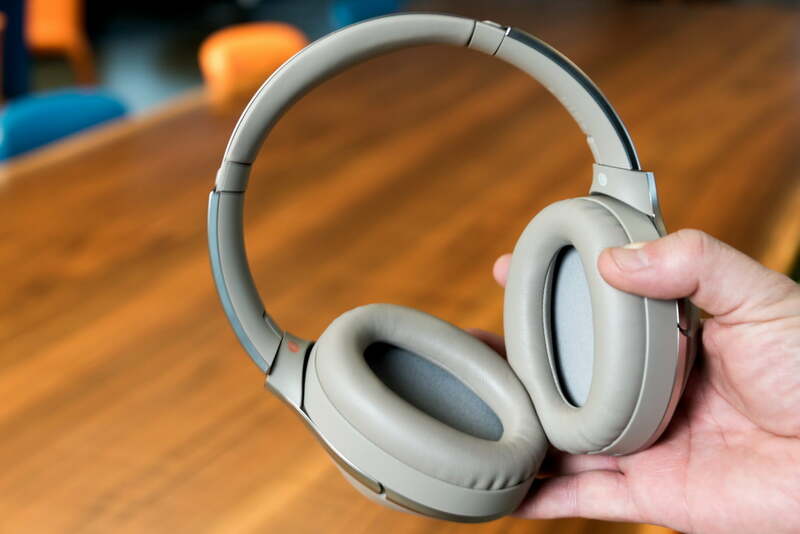 Even after many hours with glasses on, the MDR-1000x remained a sheer delight on our heads, never once approaching the nagging discomfort often associated with large over-ear headphones. 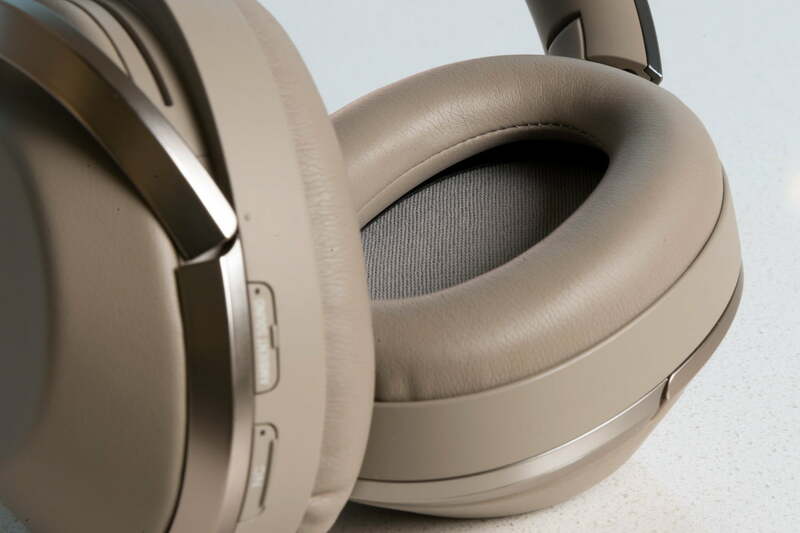 You can thank their light weight for their comfort, too: The MDR-1000x use high-quality materials and feel extremely sturdy, but at 9.7 ounces, they’re lighter than many competitors. Beneath their businesslike exterior, the MDR-1000x show off a myriad of technologies, including touch controls for play/pause, song skip, and volume adjustment, accomplished by swiping or tapping the outside of the right ear cup. The only physical buttons are located on the bottom side of the left earphone. 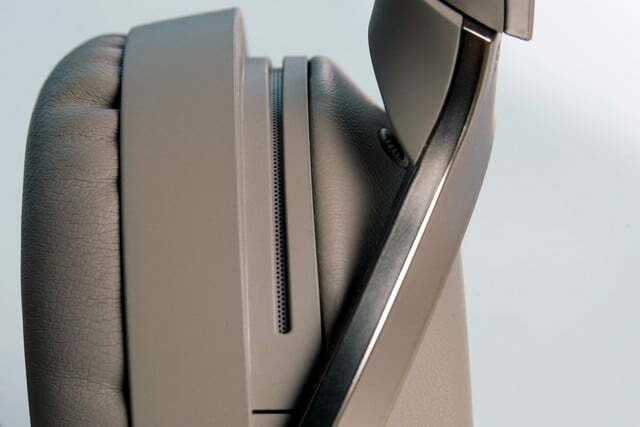 Power/pairing, noise cancelling, and ambient aware buttons hide in a row where they are easily accessed by your left hand, but you won’t notice them unless you really look for them. A 3.5mm audio cable port and micro-USB charging port are similarly well hidden, located on the bottom left and right sides of the headphones, respectively. Our only gripe about the MDR-1000x’s design is common one for touch-controlled headphones: Sometimes adjusting the headphones on our ears — or simply removing them from our heads — triggered some unwanted touch-sensitive function or another. We also noticed some delay in response to touch commands. That said, the MDR-1000x offer one extremely useful feature in the form of “headphone cupping.” If you’re listening to music with the noise cancelling on and need to speak to someone for a moment, you can simply cup the right earcup in your hand, temporarily pausing your music and the noise cancellation to hear the person you’re talking to. It may seem like a gimmick, but we repeatedly used this function in the real world to hear co-workers or announcements on public transit, and it worked like a charm when speaking to flight attendants. Speaking of active noise cancelling, the MDR-1000x use microphones on the exterior and interior of each earcup to customize noise cancelling to the individual wearer in real time. While we do feel Bose’s QC-35 still have a slight edge in the noise cancelling arena, the MDR-1000x are nothing to scoff at, easily joining products from Bose and Sennheiser (our perennial favorite brands in this arena) at the top of the ANC pile. On a long flight to South Korea, the MDR-1000x provided more than ample noise-cancellation to knock back the droning plane’s engines, and music or movie audio completely drowned out everything else. Like the rest of the package, battery life is outstanding. The 20 hours of advertised life matches the three full days of listening we got from each charge, and was perfect for our long international flights. 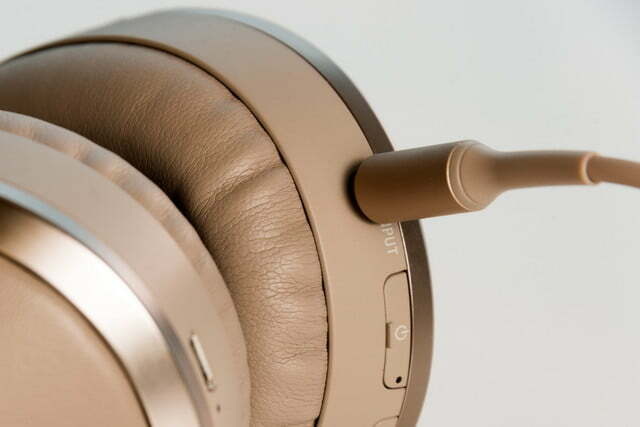 For wireless playback, pressing and holding the “On” button puts the headphones in pairing mode, allowing you to select the cans from your source device. 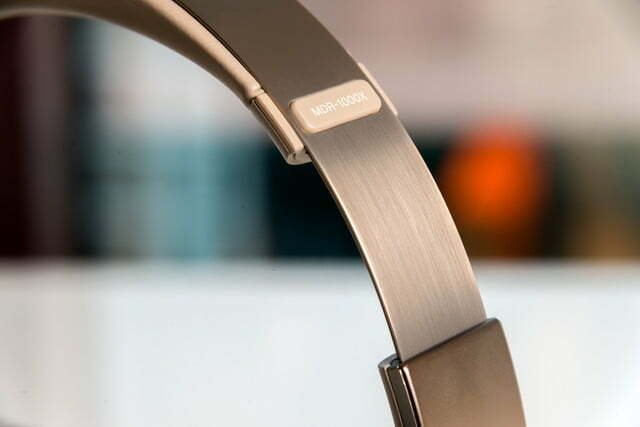 Once paired, wireless listening is immediate, with the MDR-1000x automatically connecting upon startup as quickly as any wireless earphones we’ve tested. The headphones get about 75 feet of line-of-sight range, and about 20-30 feet if you meander around a corner, which is average for the genre. To listen via wired connection, simply plug in the attached 3.5mm cable and press play, or turn on the headphones to activate noise cancelling. We listened to Sony’s MDR-1000x both wired and wirelessly over the course of several weeks in various home, office, and transit settings. Everywhere we went, and regardless of what we were listening to, the headphones sounded excellent. Sony has employed a lot of tech to achieve this stellar performance. 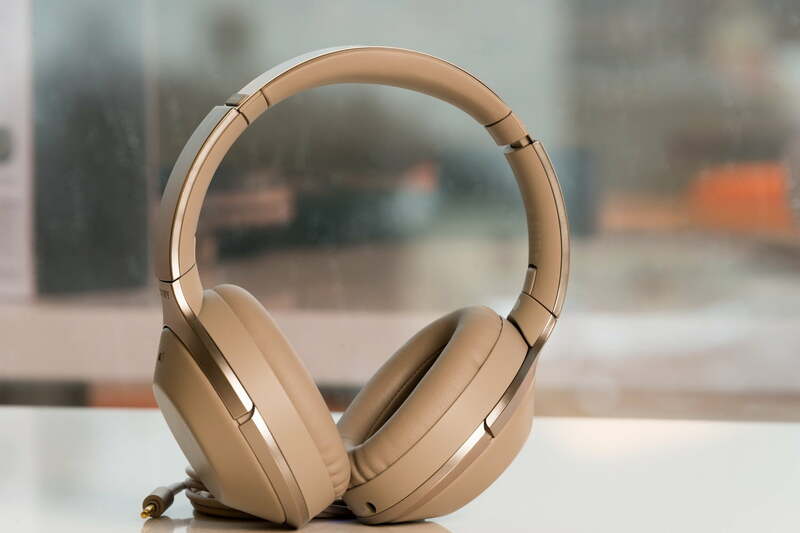 Alongside sophisticated noise cancelling, the company uses special LDAC technology to deliver audio at what it claims is three times the quality of standard Bluetooth streaming, and “up-scales” wireless music from high resolution audio devices using a special chip. 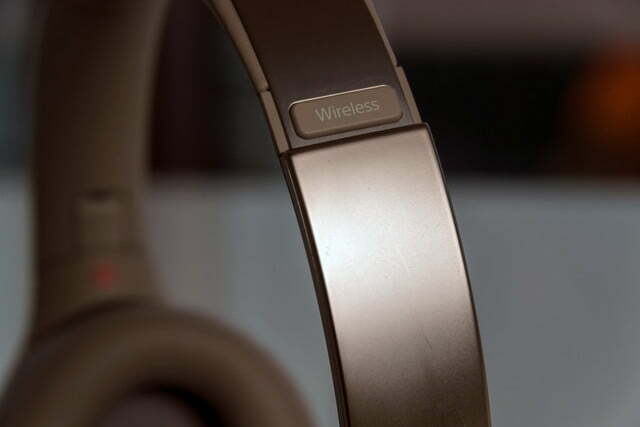 All of this to say: Sony wants these headphones to sound awesome, even when wirelessly connected, and they absolutely do. The massive soundstage in Carl Broemel’s fantastic 2016 single 4th of July, for instance, sounded dynamic and beautiful, with full bass tones that hit our ears like a melty piece of chocolate cake hits your tongue. Above, sound is precise and articulate, with clean electric guitar and vocal harmonies that ride above the low end beautifully. A well-rounded midrange fills out tenor and alto vocals, and lends realism to a wide range of instrumentation. Beneath their businesslike exterior, the MDR-1000x show off a myriad of advanced technology. Returning to bass performance, J Dilla’s So Far showcases the various levels of bass response the MDR-1000x are capable of handling simultaneously. On this track a rhythmic mid-bass thump coincides with a sub-bass rumble from a timpani sample, and the MDR-1000x handled the deep, complex bass structures with extreme finesse. Even with so much information on that side of the frequency spectrum, these instruments remain distinct within the soundstage — a difficult feat for any headphone, let alone wireless noise cancellers. 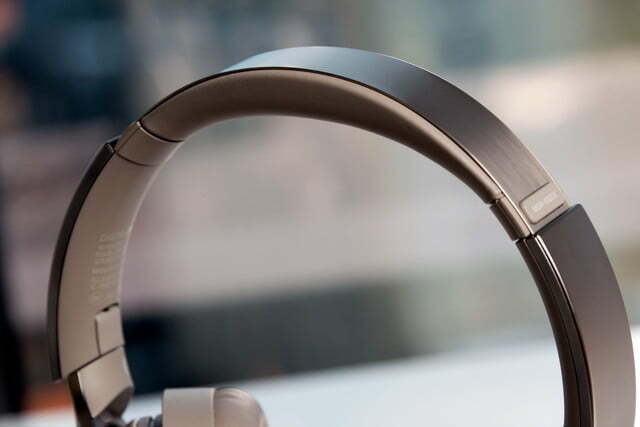 Like virtually every noise-cancelling headphone we’ve encountered, there’s a barely audible, high-end hiss when no music is playing or Bluetooth is first connecting, but it totally disappears when they spring into action, even with music at low volumes. 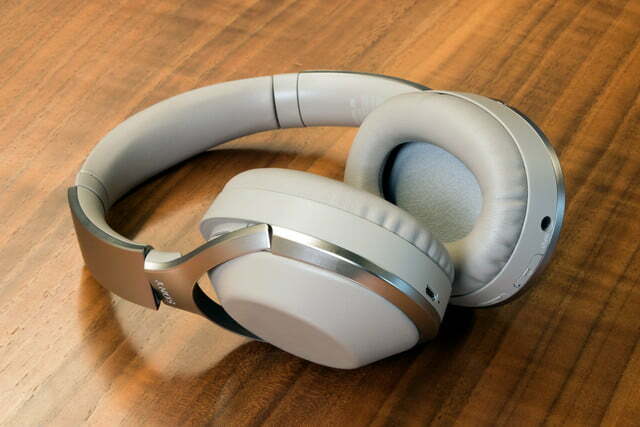 In fact, where the noise cancelling tech lowers fidelity on some headphones, the MDR-1000x employs it to create an even whiter canvas to paint music over. Every album flows into your ears as though you’re in a private listening session, while voices, keyboard clicks, and other office distractions are deftly quelled. The Sony MDR-1000x are a feature-packed pair of noise-cancelling headphones, and the best we have ever tested overall. While some headphones offer slightly stronger noise cancelling, and others distinctly crafted sound signatures, never have we seen each individual element combined so well. In this case, the whole is much greater than the sum of its parts. 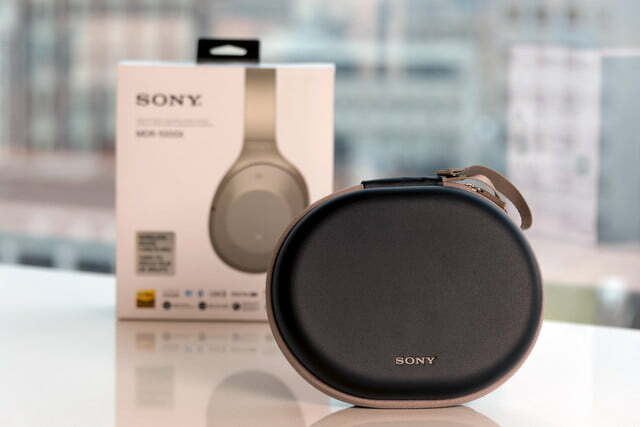 Compared to other excellent-sounding headphones with active noise cancellation at around the same price point, such as the JBL Everest Elite 700 or aforementioned Bose QC-35, the Sony MDR-1000x have a slight upper hand in terms of overall fidelity. That said, both of those other sets are worth considering for different reasons: The JBL because they offer a massively adjustable soundstage and performance, and the Bose because they offer (slightly) better active noise cancellation. Sennheiser’s PXC-550 are also well worth considering, matching up well with the MDR-1000X in musical detail and clarity. 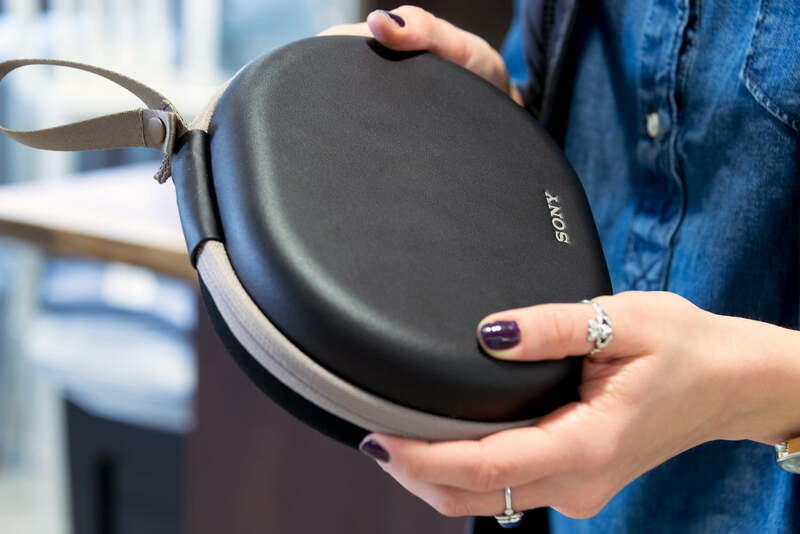 Sony has a history of manufacturing extremely durable and high-quality products, and given the build quality of the MDR-1000x and the included hard case, we imagine they will last for many years of regular use. Yes. 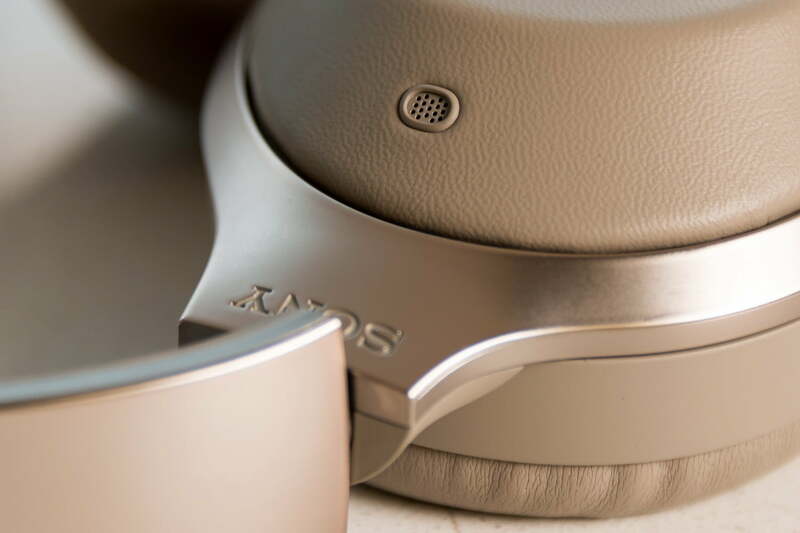 The Sony MDR-1000x offer a unique blend of form, utility, and sheer musical enjoyment. While they come at a premium price, the experience they provide exceeds expectations at every turn. A long-lasting battery, solid active noise cancelation, and vibrant sound make the JBL Live 650BTNC a great pair of headphones for everyday listening. Looking for feature-packed wireless headphones at a low price? These are just the ticket.